On July 31st, the new Mission Impossible 5: Rogue Nation will hit the theaters. 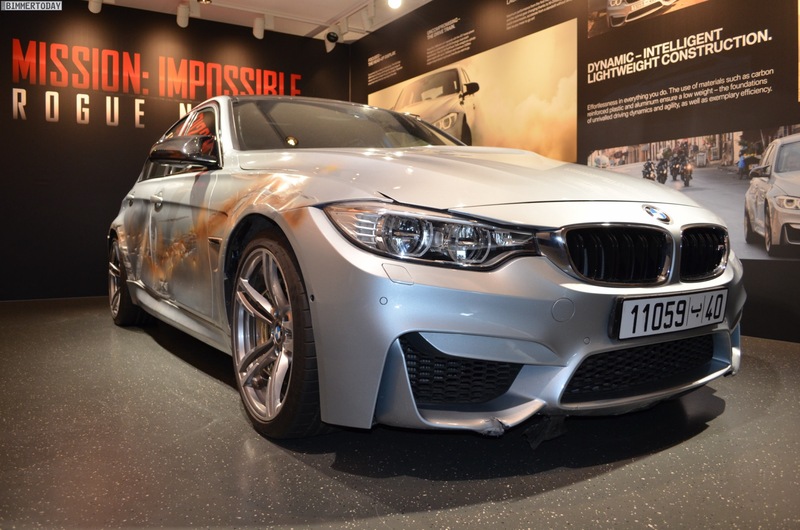 The action-packed franchise stars once again Tom Cruise as Ethan Hunt who this time around drives the new F80 M3. During film shooting, several F80 M3s have been damaged, but one of them was saved from the trash compactor and displayed at the BMW M facility in Garching, just outside Munich. 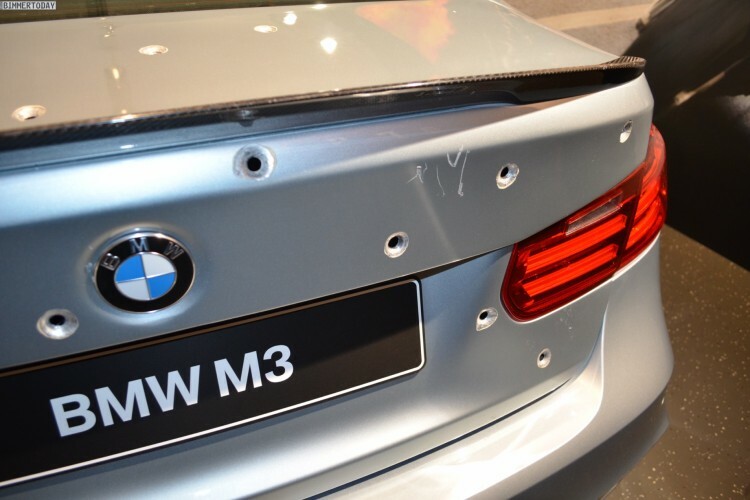 The Silverstone Metallic sedan shows visible signs of body damage and lots of bullet holes obtained during the stunts performed in the movie. 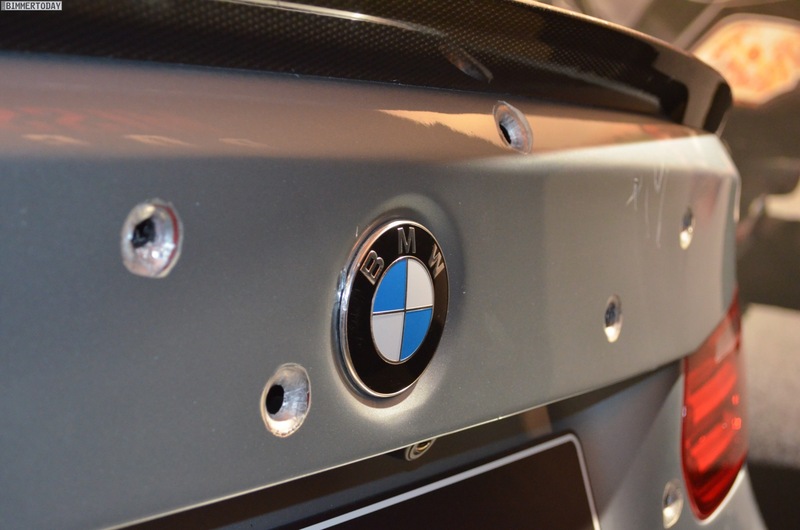 Other damages are visible on the carbon fiber roof and front bumper. 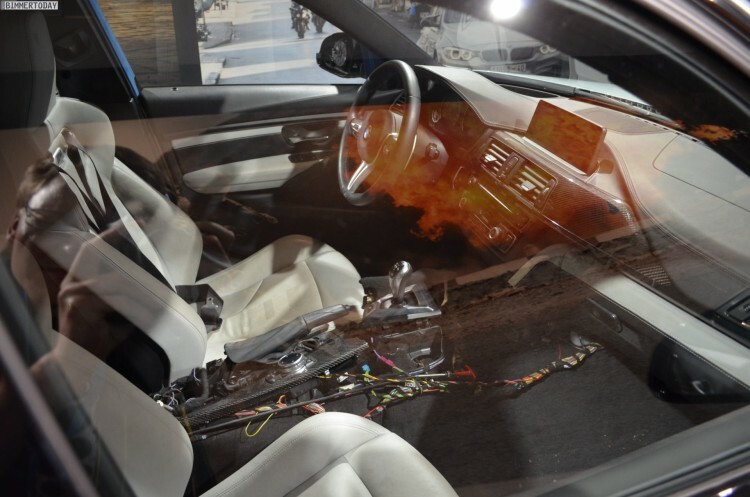 The interior has been modified for the movie shooting and among other things, we see lots of wiring in the center console and powerful belts for driver and front passenger. The early trailers promise an exciting movie with lots of BMW cars and even some exciting M3 crashes. A BMW 340i Facelift in the Mediterranean Blue color, the new X5 and the BMW S 1000 RR super bike are also starring in the movie.